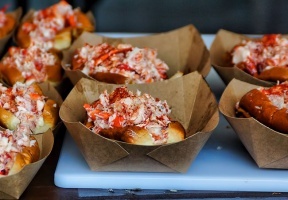 The Great American Lobster Fest is the Midwest’s largest Lobster and Seafood Festival returns as the summer’s last hurrah. Enjoy fresh lobster, live music performances, family-friendly, and craft shopping. For ticket information, visit www.americanlobsterfest.com. Attendees are transported across the Diaspora with interactive engagements, vibrant drumming, museum quality and collectible artifacts, colorful and rich handwoven fabric and textile, and other program spaces and Interactive spaces include: Drum & Afro-folk Village, Children and Family, African Heritage, African Spirituality, Wellness (Health) Village, Books and Authors, Fine Art, Film and Video, Food Court, Seniors and Quilting, and the African Marketplace. For more information, visit www.aihusa.org. The 40th Annual Chicago Jazz Festival showcases the greatest jazz artists from Chicago and around the world across the city during new, extended festival dates. Headliner performances in Millennium Park include Ramsey Lewis, Kurt Elling, Dianne Reeves, Maceo Parker and Orbert Davis’ Chicago Jazz Philharmonic. The Chicago Jazz Festival is produced by the Department of Cultural Affairs and Special Events and programmed by the Jazz Institute of Chicago. For more information, visit www.cityofchicago.org.